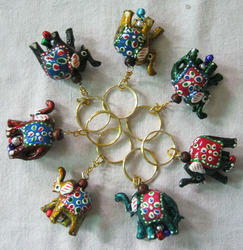 Fine Decorative Meena Elephant Keychain Available In Different Designs & Sizes. Backed by profound experience of our experts, we are an unparalleled name engaged in providing high quality assortment of Elephant Key Rings. 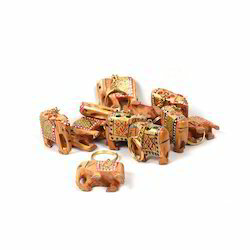 We offer Wooden Jali Elephant Key Chain, made of white wood with fine ring. We have wide range in wooden key chain with undercut work/carving/plain work. We are manufacturer we can make as per customer demand. We Are Mainly Looking Queries from East Europe, East Asia, Central America, North Africa, Australia/NZ & South East Asia. Key chain Elephant Hand Braided With Three color fabric from our chindi collection making use of all the scrap.